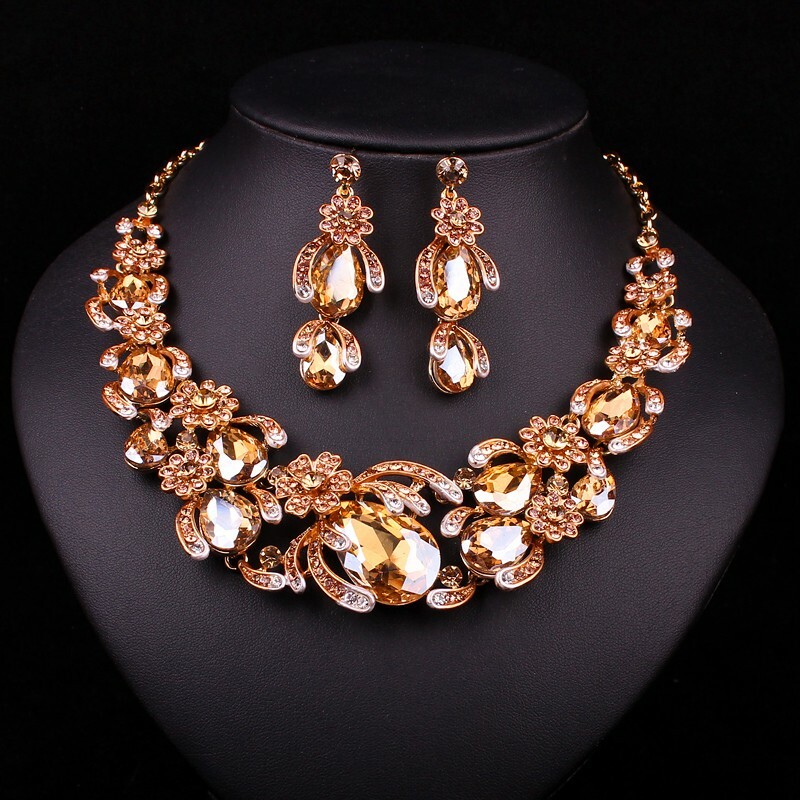 Gorgeous gold champagne shade, rich design, large crystals and unusual floral ornaments - all of this will draw everybody's attention to you. Team this set with your favourite party dress. Add a touch of something special when you add this piece of costume jewellery to your favorite outfit.